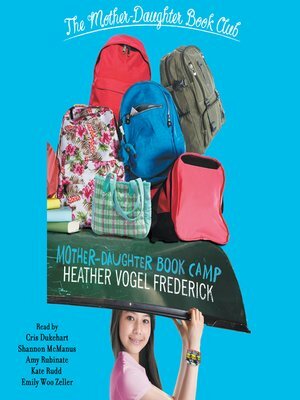 Spend one last summer with the Mother-Daughter Book Club at camp in this bittersweet conclusion to Heather Vogel Frederick's beloved and bestselling series. After so many summers together, Emma, Jess, Megan, Becca, and Cassidy are reunited for one final hurrah before they go their separate ways. The plan is to spend their summer as counselors at Camp Lovejoy in a scenic, remote corner of New Hampshire, but things get off to a rocky start when their young charges are stricken with a severe case of homesickness. Hopefully, a little bit of bibliotherapy will do the trick, as the girls bring their longstanding book club to camp.